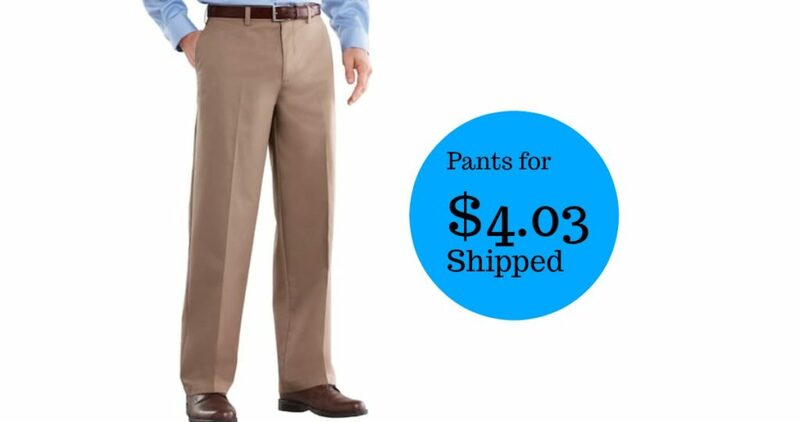 Head over to Kohl’s where they have Men’s Croft & Barrow Easy-Care Stretch Pants marked down to $5.76, regularly $48. Also, through 9/24 Kohl’s cardholders can get an extra 30% off your entire purchase with coupon code SUNSET30. This makes these pants $4.03! Grab several pairs at this price, but don’t wait as sizes will probably go quickly. Get Free Shipping on every order with coupon code MVC4SEPT at checkout.